As you can see, every Successor will start when Predecessor is 50% finished. 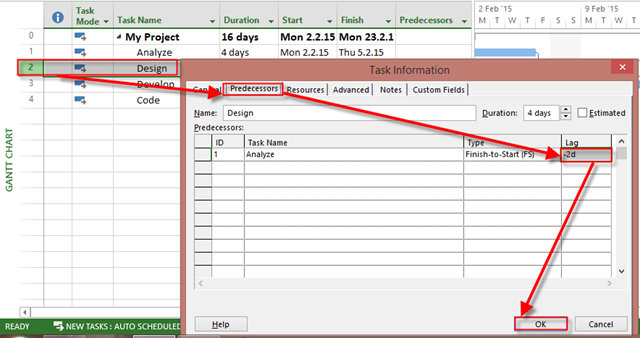 This entry was posted in MICROSOFT PROJECT, Microsoft PRoject 2010, Microsoft Project 2013, MS PROJECT 2010, PMI, PRoject Management and tagged Microsoft Project 2010, Microsoft Project 2013, Microsoft Project 2013 - Scheduling, MS PROJECT. Bookmark the permalink. this submijt is written via him as noo one else recognize such designated about my problem.